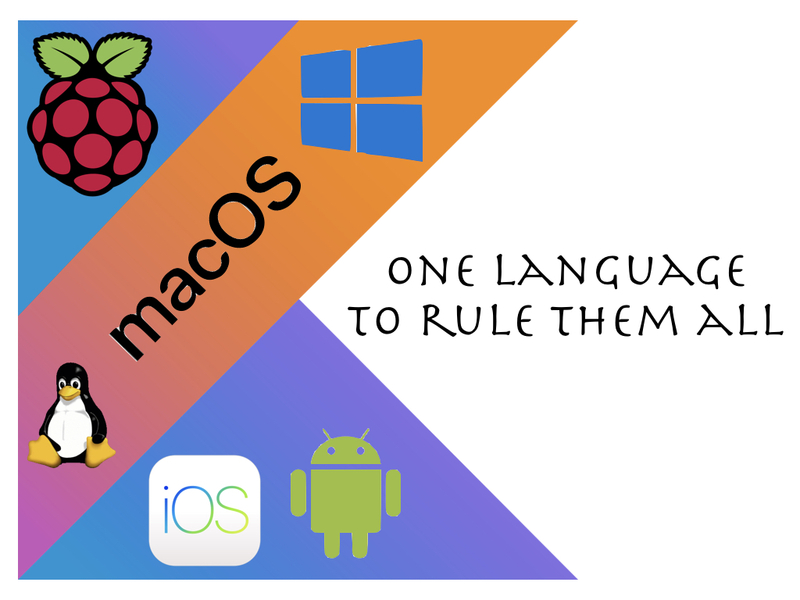 In other words you can target all the 3 main OS for the Desktop, the 2 main OS for mobile, and Raspberry Pi. Our goal is to check in practice how we can use Kotlin native today. We are going to build a simple application using a C library (libpng). 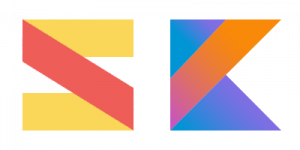 We are going to build an application that generates a simple image: the Kotlin logo. Our program will take as input the desired size of the image and generate the logo. The logo will be saved in PNG format, and that is why we need to use libpng. The simplest way to build a project using Kotlin native is to use gradle as your build system and the corresponding plugin. typically you want also to run gradle wrapper. Basically it creates a little script that install gradle if needed. Read more here. Let’s see what we need to insert in those you files. We specify just the version of the kotlin native compiler we want to use. In this case the gradle script contains also the IDEA plugin so that we can generate an IDEA project by running ./gradlew idea. At this point we can compile everything with ./gradlew build. Then we can just run ./build/konan/bin/LogoGenMacbook.kexe to execute it and voila! While printing on the screen can be exciting at first after a while we could want to move forward. For doing anything meaningful we are going to need some native library. In this example we are going to use libpng, but the same procedure applies to use any library. Note that you can reuse all native libraries that follows the C ABI. For other languages like C++ or Rust you could have to wrap the libraries with C before being able to use them, or use existing C bindings, where available. First of all we could want to install the library on our system. This is technically not needed: we could just download it somewhere and specify the include directory and the linker options. Now we need to make Kotlin code aware of the C functions we want to use from libpng. To do that we just list the header files we want to use. You could notice that we included both headers from libpng and others from the standard library. Now, we could be tempted to define another def file for the standard library but that did not work for me. Why? Because when importing png.h the compiler also imports all files included by png.h, including some from the standard library. For the corresponding structures (like FILE), it creates a Kotlin wrapper. So we end up with two different FILE: one from the standard library and one for png, that was imported implicitly. This cause all sort of compilation errors, so let’s make our life easier. This is something that will need to be sorted out eventually, but for now let’s use a workaround and define one def file with everything we need. And that is it, we are now ready to use libpng from Kotlin! What our application will do: logos, logos of all sizes! Our application is going to generate the Kotlin logo of the size we want. 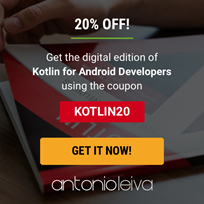 You can download the Kotlin logo from the official website but our program will instead generate it programmatically and save it to a PNG image. Let’s start with a first version that will generate a logo of 500×500 pixels. It will generate the logo using three bands of homegenous color. We will add the nice gradient of the real logo in a successive iteration. We have a bunch of calls to libpng functions. You can look at the documentation of that library if you are interested in details, we will mostly comment the Kotlin stuff. 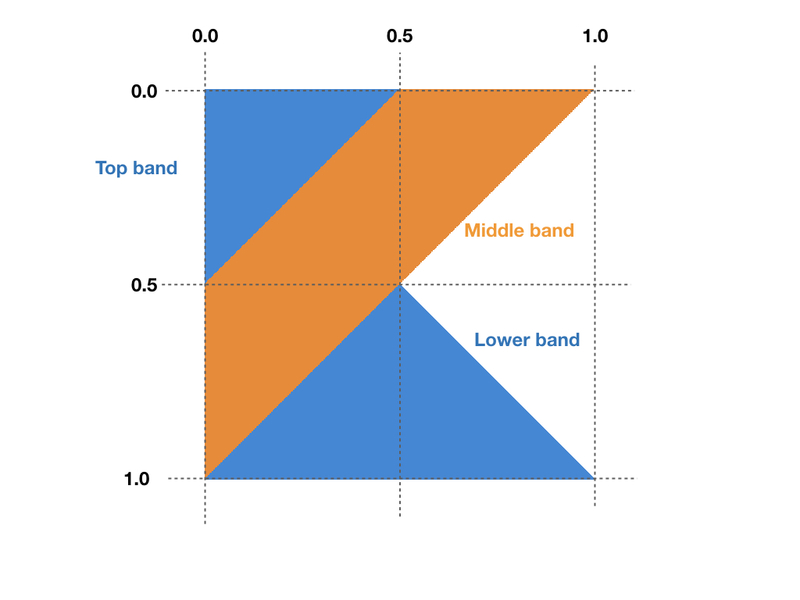 Once we have figure out the band we just paint the pixel with the color used for that band: BLUE for the top and lower band, ORANGE for the middle one, and WHITE if the pixel does not belong to any band. To set the single pixels we use the setRGB function. In this function we receive an array of bytes (rowBuffer). Now, it contains a sequence of pixels, one after the other. For each pixel it contains the red, green, and blue components. We calculate the position of the component of interest for the pixel of interest. For example, for the red component we use rowBuffer.plus(3 * x + 0). Ok, this is where we want to write the value of the red component. However there is an issue because we cannot use a byte, given it is a signed value in Kotlin, so it can hold values between -128 and 127, while we have values between 0 and 255. So we use a short instead. We cast the byte array to a short array and we write the first element. Note that in this way we override the next pixel, so calls to setRGB need to be executed in order. Support for unsigned values is one of the issues that needs to be sorted out. The next step is to consider the program arguments. 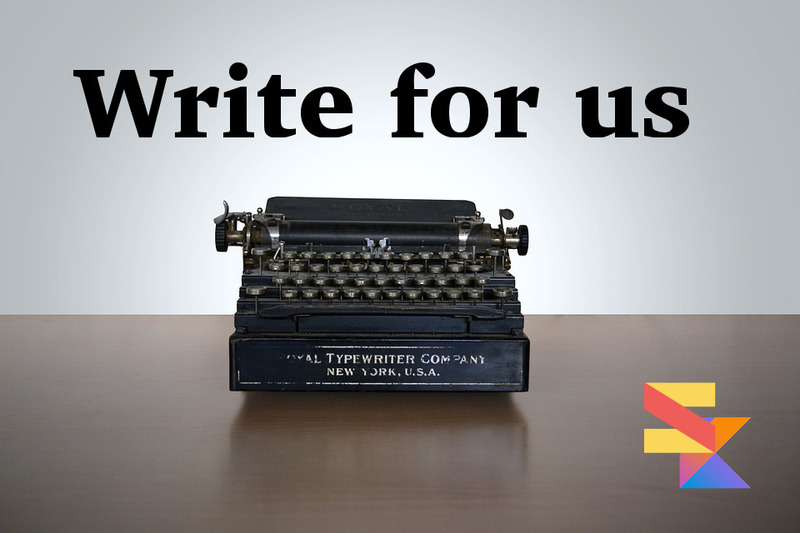 We expect the user to tell us the size of the logo he or she wants. We need to check that two values are provided and that both are valid. We accept only integers between 1 and 2000. If both are valid we move on with the generation. We also use the width and the height to determine the name of the image file. 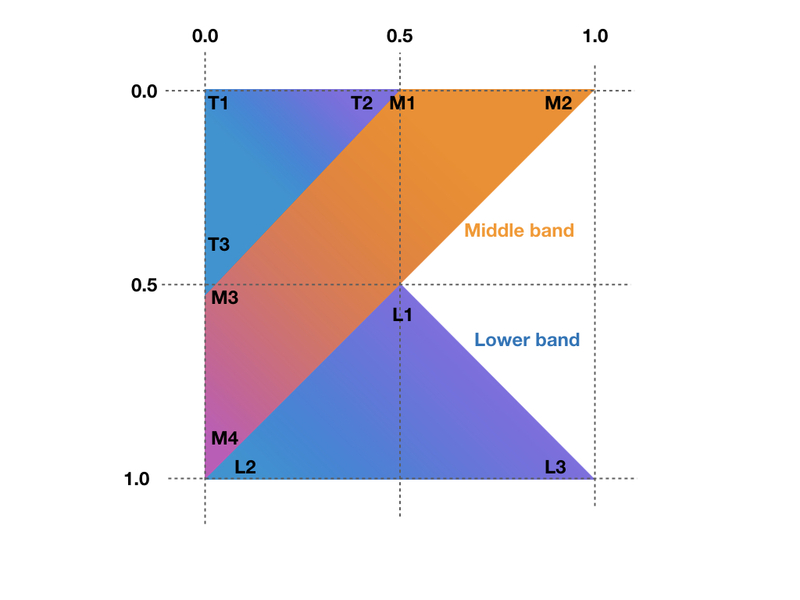 Our logos look nice but the original is still nicer because it use a gradient, so the different bands are not homogeneous but the color changes as we move from across the band. Let’s try to replicate that. And then to modify how we calculate the color in the inner loop of our draw_logo function. For each pixel we want to calculate the color depending on how close it is to one of the extremes. In practice we calculate the closeness as the inverse of the distance between each two points. For each pixel we calculate this inverse distance to all the extremes and the sum. Then we calculate the color as the pixel as a proportion considering the closeness and the color of each extreme. This is what we do in Band.color. It is still not as cool as the original one but we are getting closer. In this article we have seen how to use the gradle plugin to compile things. However if you prefer to not use it you can also do everything without. You may want to compile the native compiler yourself. And here you go, now you have the bleeding edge version of the compiler to play with! This is a possibility, I think. There is code we need to execute on different platforms. I do not think we will get applications that run on different platforms like the web, iOS and Android because the interactions are different and the user expectations are different. However we need and will probably get common business logic, common libraries. Kotlin seems an interesting language to deliver that. That said it is possible to build something today, with the Kotlin native compiler as it is but there is a big roadblock: the editor support. We would like to thank Mario Zechner for his comments which helped improving the article. Oops, looks like I pasted in the original instead of the fixed code. Oh no, the issue is that generic arguments are getting stripped from my comments due to the corner brackets. I suspect that happened to the original post as well. Yes, this is exactly what happened. Thank you for pointing it out. I should have fixed it now. I have done everything as mentioned till here. Also built the compiler successfully.